When we think of trash cans, our minds always go to the two big areas – the kitchen and the bathroom. We may spare a thought for the bedroom, and the beleaguered home office or study is almost never acknowledged. The result of this is that people walk with their garbage from one area of the house to another to dispose of waste or, worse, they don’t and the garbage is placed in an inconvenient place to be removed later. Sometimes that “later” never comes and the house begins to get messy. One of the best ways to determine where in your house might need a bin is to see how long persons stay in that area. 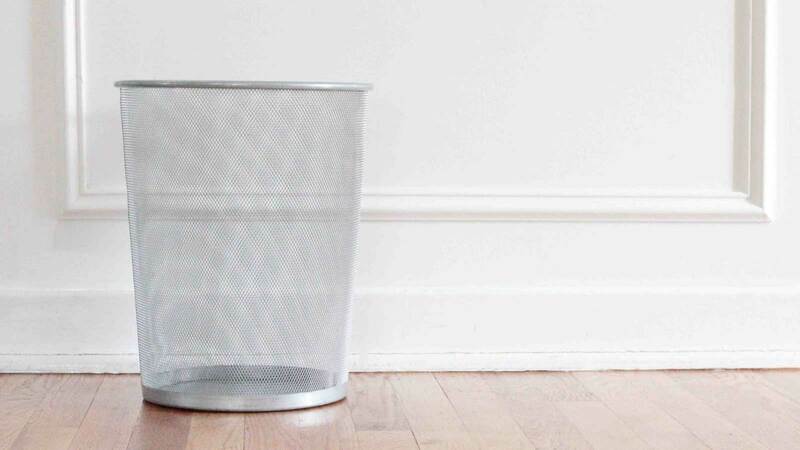 If you or others rarely use a room, then chances are you won’t need a trash can in that area. However, if an area is used by at least one family member on a regular basis, even two to three times per week, that area would benefit from a trashcan. In this regard, there are some heavily used areas that are oftentimes overlooked for trashcan placement; the family room is one of these. Another one of these underserved areas is the basement and, depending on you or your family’s routine, that area tends to be used quite a bit. You may be concerned about the suitability of a trashcan in certain areas. For any room challenge or design concern that you can think of, there is a trashcan that would fit seamlessly in that space – you just have to spend a little time looking. Have a glance at our Trashcan Buying Guide article for pointers on how to get the right trash can for your needs.